The concept consists of two structures that are offset from one another and have a total living area of 235 m² (160 plus 75) that share a common inside courtyard and are connected by a frame-type structure. 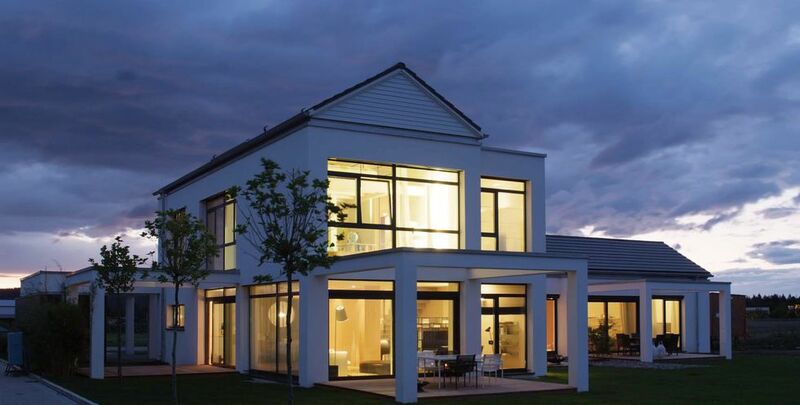 The two parts of the Generation house are equipped with the intelligent JUNG KNX system. Lighting, blinds and temperature can be controlled with ease in the individual rooms through a room controller display. The room functions are shown clearly on the displays. In addition, a colour touch panel is installed in the hallway of the main building to provide visualisation of the functions of both building parts, including timer functions with individual options for intervention. Switches, pushbutton modules and sockets are likewise integrated into the design as required. In der Ahe 1, 27356 Rotenburg/W.